One of the areas where you’re most at risk for identity theft is right in sight​—your paper mail, most of which is mail you should shred. More than 150 billion pieces of mail are delivered by the U.S. Postal Service every year, and much of that mail contains identifying personal information that can be used to steal your identity. The Federal Trade Commission (FTC) provides guidance on the types of documents you should keep, but here's a list of the type of mail you should shred before throwing out. Anything that comes from a financial institution could potentially be used by an identity thief. Sure, you have to keep copies of bank and credit card statements for record-keeping purposes, but only for three years. Anything older than that should be shredded. In addition, shred canceled checks, voided checks, and any online purchase orders that contain your bank account or billing information. Your personal information is what identity thieves are after. Your date of birth and Social Security number are especially vulnerable; so make sure anything that contains that information goes through the shredder. Other information to be wary of is your full name, address, home or work telephone numbers, and driver’s license number. Don't put your identifying account information at risk. Account numbers, usernames, and passwords are key pieces of information that identity thieves try to capture. You should shred any mail printed with this information, such as credit card statements, personal and real property tax statements, and bills. This means you should also shred mail that contains information about your utility accounts, cell phone, and internet bills, as well as similar bills you might receive concerning other properties you own, such as rentals or vacation property. Junk mail can be dangerous. Most people don’t realize it, but junk mail usually has a computer barcode on the front that can sometimes contain personally identifying information. This includes so-called pre-authorized credit card offers, mail from insurance companies and lenders, and even mail from associations, such as the AARP or other membership organizations that may have access to your personal information. Companies market to certain demographics, often based on your age group, occupation, or purchasing habits. So you should shred all of your junk mail, including the return envelopes provided with it. Identity thieves don't discriminate and they aren't known for their compassion; so they won't care if they steal a Social Security number belonging to a child. Therefore, the mail you receive concerning your children, their medical records, and school information goes into the shred pile. 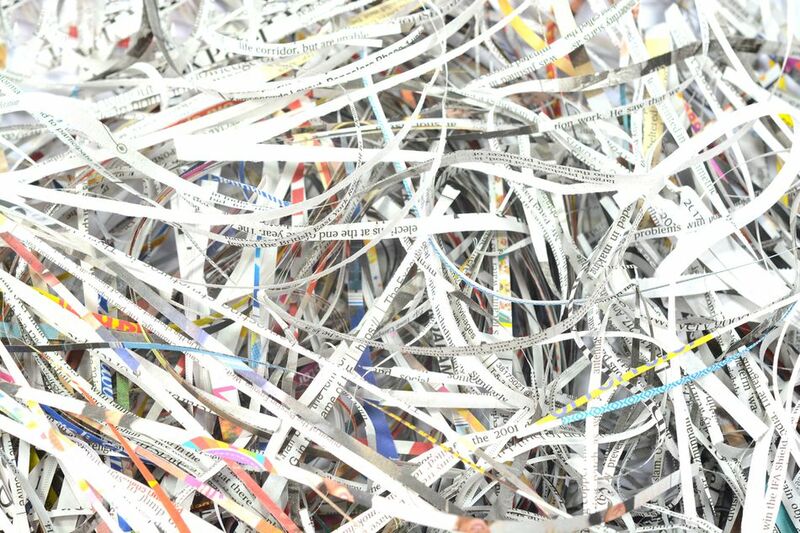 If you received copies of your children's birth certificates, shred them. Likewise, any mail containing your authorization for school field trips, school applications, and report cards also go into the shred pile.